Are you making your life harder for yourself? I started teaching primary students around 4 – 5 years ago when I came to Thailand. I would often find myself exhausted after teaching 4 hours of primary classes. I soon realised that I was making my life harder than it needed to be. Co-teaching, reflecting on my own teaching, taking the (now defunct) CeltYL course and observing other teachers helped me see this more clearly. So here is a short questionnaire to get you thinking about your classroom routines. The solutions to some of these situations may sound obvious, even patronising, so please take them with a pinch of salt. The point is that half the time we don’t even realise we’re doing something the hard way in the YL classroom, because it becomes a routine or habit. Click on the answers to see if you guessed right and see an explanation. There may be more than one correct answer. …continue giving instructions as you were? It’s unlikely that everyone will hear and concentrate on the instructions like that. …raise your voice so that everyone can still hear your instructions? You’re going to have a sore throat by the end of the day! …stop giving instructions and wait for those students to finish talking. That will work and saves your voice, too, but be careful not to waste too much time like that! Alternatively, you could walk over to them silently with your hand in a stop gesture or dock a point from their team if your a points person. …give full instructions of the rules of the game verbally and ICQ before starting. With young learners, this is likely to be tiresome. Some learners are likely to zone out during your instructions, and if learners couldn’t follow the verbal instructions, ICQs won’t help. Also, not everyone takes in verbal instructions well (me included), so a think about visuals prompts. …give each group the game and go to each group explaining the rules individually. You’re going to be worn out after that, and what are the other groups doing while they’re waiting for you to come round to them?! …sit down to play a demo game with some students while other students watch. …give out each thing one by one. Whenever I’ve done this I’ve regretted it. Either learners are sat waiting for me to get round and I get anxious or I have an unruly gang of young learners surrounding me shouting out ‘Scissors!’, ‘Glue!’ impatiently. Either way you’re making it harder than necessary. …give students responsibility for handing out one thing each. …give students some process language like ‘Can I have…, please?’, put all the things at the front of the classroom and put one or two stronger students in charge of the ‘stationary shop’. If you aren’t pushed for time, this extra process language will make sure that learners use some English while doing the craft task 🙂 While they’re doing that, you’re freed up to do other things. …tell him to stop calling out so much in order to let other learners have a chance. …take away points from his team. …explain the instructions to him privately and let him take your place giving instructions to the class while you sit down. It sounds like Sam will be up for the challenge! This is going to be difficult to monitor. See my post on interaction patterns for more on this. …put students in 2 lines so they speak to the person opposite them (including one trio) and you monitor by walking around. Great – this way it’s fun and dynamic, and most importantly, you can monitor easily. See my post on interaction patterns for more on this. …pair students up and you pair up with the odd student yourself. How will you monitor the other learners? See my post on interaction patterns for more on this. …go to each group individually encouraging them to speak English. As soon as you’re back’s turned, they’ll revert to L1. And it involves lots of crouching down to talk to groups. …wait until after the game and tell them how badly they did. In his writings on motivation (eg. this one), Dornyei explains that communicating pity after a task is one of the most DEmotivating things you can possibly do as a teacher. …draw a scoreboard on the board and award points to each group that uses English. I’ve done this before, and it works, so it’ll do as an interim solution. However, this kind of competitive element can make bit of a mockery of a task like this – learners just use English to get points. It’s likely there are root causes that are preventing learners from using English, eg. Do they need some process language? Is the task too hard? Are they accustomed to getting away with this? If anyone has got a better solution, please do comment below! …explain it again in English? If they didn’t understand the first time, they’re unlikely to understand it now, so this might just make you more anxious and waste time. …CCQ the meaning of the word? This might serve to confirm that they didn’t understand your explanation. However, it’s doubtful whether it would actually make it clearer for them if they didn’t get it in the first place. …ask a stronger student the word in L1? If you know the word in learners’ L1, this will be a quick check and you can ensure that everyone is on the same page. …set it up as a mingle activity? Unless learners know what’s expected of them (by having done a mingle like this before) expect chaos! …tell students to work with the person next to them. After a minute, stop them and ask them to find another partner, and continue like this. Staging it so that learners all speak to a partner then stop (leaving a chance for you to clarify or give feedback) before moving on in lockstep is a nice touch. However, call me cynical, but seven-year-olds will likely struggle to hook up with a random new partner sensibly, and it’s taxing on you, as you’ll be calling out every minute. …seat them in two lines facing each other and tell them to stand up and move along one place to the left every time the music stops. This is very controlled, lockstep classroom management, using movement and music to manage interaction, which is probably going to get the best results with very young learners. OMG, how many times did I do that when I first started teaching. It works eventually, but it’s really tiring. …get students’ attention through a routine they are used to, such as tapping the board, holding up your hand or stopping the background music before asking for feedback. Yes, everyone likes a clear routine. …go around marking students’ work individually as they finish. In my experience, young learners always want you to do this. They shout ‘Teacher, finished!’ and put their paper right under your nose. It’s understandable, they want recognition and praise like we all do. But it will take you ages to mark all learners’ work individually like this. …make learners form a line as they finish so you can mark their work individually. This makes it easier on you, but what are the 15 learners doing while you’re marking? …show the answers on the board and let learners check their own answers. …check the answers from the first student to finish, then set that student up as ‘teacher’ to correct other students’ work as they finish. This can be a nice touch, as it gives that learner the recognition they want for finishing early, and also takes care of finding a fast-finisher’s task for them. So that’s it! Just comment below if you can think of any other teaching routines that make teaching young learners easier. Featured image adapted from: Image from page 407 of “The World book : organized knowledge in story and picture” (1918). 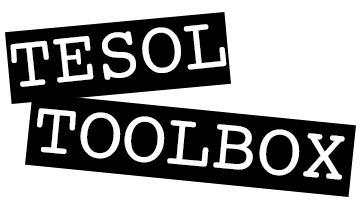 For more information on images on TESOLtoolbox, see Imagery. Your blog is fantastic! I just started my MA in TESOL program, so I will definitely be following to get some tips for teaching!